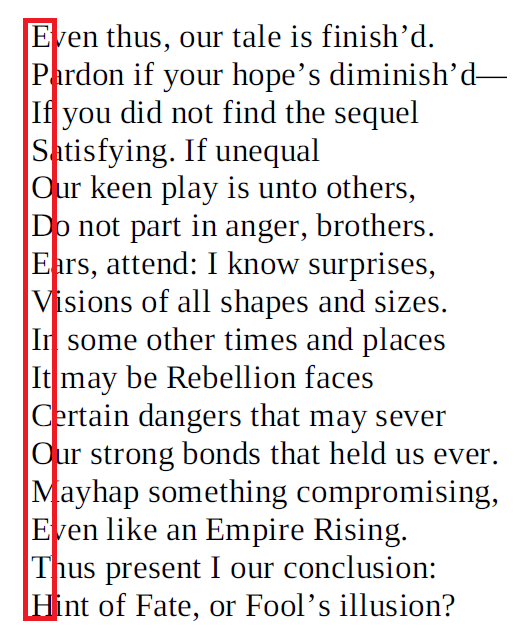 The final page of William Shakespeare’s The Jedi Doth Return contains a Star Wars: Episode VII Easter Egg! So in Star Wars: Episode VII does the Empire rise, causing our rebels to face new certain dangers? Appears so from the rumors we’ve been hearing. It is suggested here we could even have a title hint here. These books are licensed by Lucasfilm to Quirk Books. Would they pass on any information to an author at the stage in which the book was conceived? That’s arguable. Still, very fun and a good read. What do you think? Is there more here, or is the acrostic poem the extent of it? Thanks to our friend who shall remain (like your sister), safely anonymous.